While I loved the All in One Snail Repair Cream, and got almost immediate and serious reduction of both acne and sensitivity in my skin, I was a little worried about some of the acne-triggering ingredients added to it. So I decided to do a little bit more research and found this ampoule, which boasted 80% snail mucin, and NO acne-triggers for ingredients. Besides the inclusion of alcohol, there’s nothing else in here that’s particularly troublesome for acne-prone or sensitive skin. And as you can see, there’s an amazing list of star ingredients that are great for your skin like the snail secretion extract, sodium hyaluronate, cocoa extract, peptides and other extracts! And I just have to mention that ingredients like these are the reason why I love Mizon. They always put such high percentages of quality star ingredients in all their products. 80% of snail mucin (even though it’s lower than the 92% snail mucin they put in the All in One Snail Repair Cream) is damn impressive! Theobroma Cacao (Cocoa) Extract: Rich in antioxidants, and it also helps to increase blood flow to promote healing. Copper Tripeptide-1: This peptide has great antioxidant and anti-inflammatory properties. It also been proven to increase production of elastin and collagen in the skin. A true powerhouse of an ingredient! Human Ogliopeptide-1: This peptide also helots to increase production of elastin and collagen in the skin. It also helps to increase cell growth, and is helpful in treating wounds on the skin. 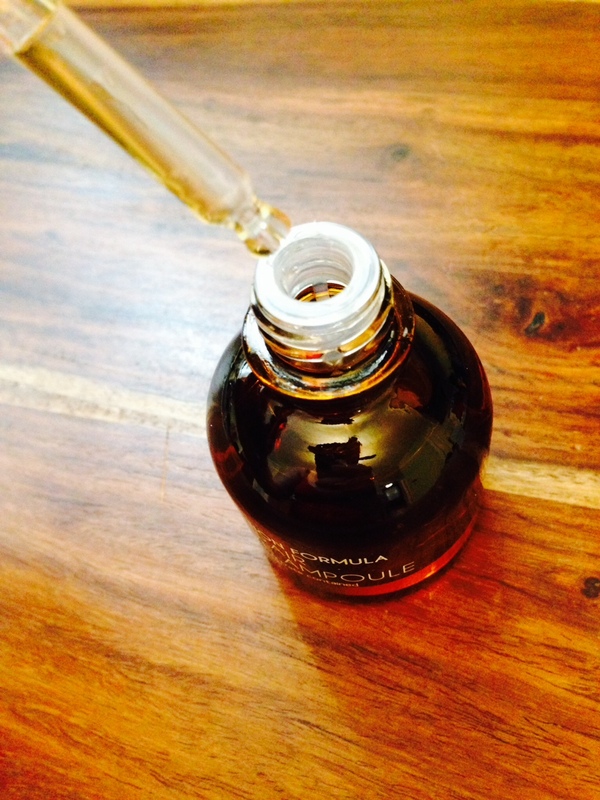 The product comes in a beautiful little dark brown bottle, with a high quality glass dropper. Plus, the inner rim of the glass bottle comes with a little fitted plastic seal to prevent leakage. This is a really smart design, that’s prevented any waste or unintentional leaking of the product. While there’s only 30ml of product (roughly 1 fluid oz), I find that a little goes a long way. I used a little less than one dropper full for my entire face each time (morning and night), and I found that this product easily lasted me over a month. Which is a really great value for the price! I bought this on Amazon for around $18. I don’t really know how to describe the product itself, it’s nothing like anything I’ve used before. It’s both liquidy and gooey. 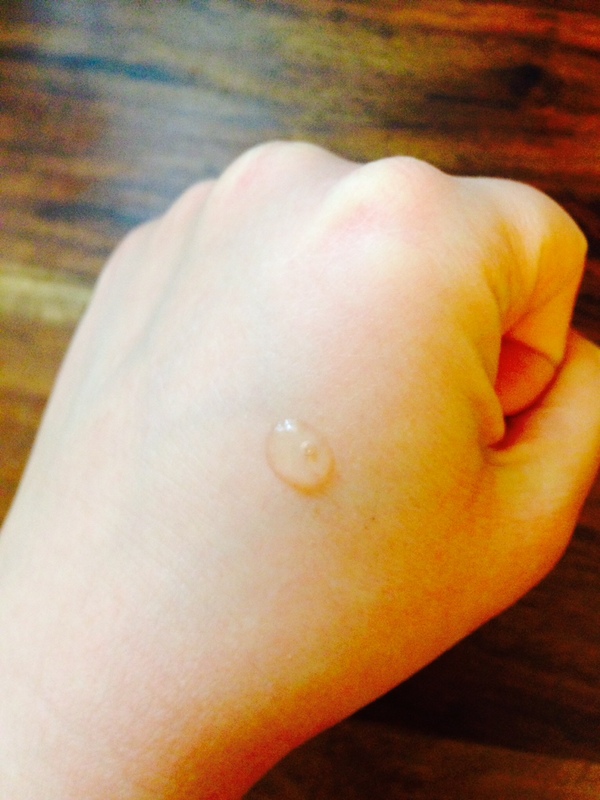 But even though it’s gooey, it absorbs well into the skin and doesn’t leave it feeling sticky. It’s slightly yellow, with no smell. I definitely find it to be more moisturizing than the All in One Snail Repair Cream. I did not notice any problems with my skin with the added alcohol in this product. And while I appreciated the lack of bad ingredients and the fact that it was more moisturizing, I did not find that this ampoule performed as well as the All in One Snail Repair Cream. Maybe it’s the additional 12% extra of snail mucin in the Cream, but the All in One Snail Repair Cream worked for me so much better than this ampoule! I used this ampoule for almost a month, and I noticed gradually that my skin was looking slightly worse as the weeks passed by. I started getting more whiteheads and cystic acne along the jawline. Each week, my pores looked like they were getting bigger again. The redness in my cheeks didn’t seem to get any worse, but overall my skin was looking a little duller. And when I switched back to the All in One Snail Repair Cream, within three days I noticed my skin looking better and brighter. My whiteheads started to disappear and I didn’t get new ones. My pores started looking better too! I don’t know what is in the Snail Repair Cream, but after going off of it for a month and going back on it, I am now absolutely convinced in the power of the Cream! Will never be without it again. My skin just looks brighter and healthier with it, and unfortunately not even this ampoule was a good substitute for me. 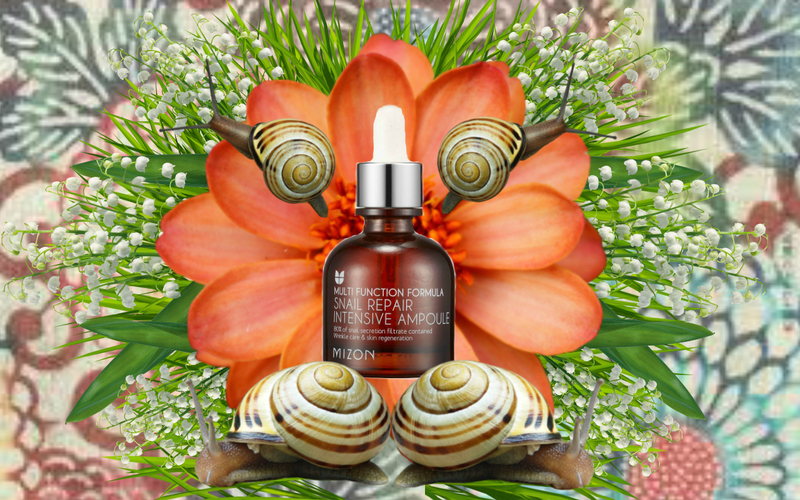 Great ingredient list and more moisturizing, but unfortunately this ampoule did not give me the same amazing results as Mizon’s All in One Snail Repair Cream. This might work great for some people, but it wasn’t the best for me. Cons: Did not provide the same results as the Snail Repair Cream. Get Mizon’s original All in One Snail Repair Cream! It’s seriously magic for my skin. It’s an ampoule, not a moisturizer and definitely not a cream. You should expect different results when using totally different products intended to treat different skin concerns . An ampoule by itself is never going to be better than a cream, and a cream by itself is never going to be better than the combination of those two products. Hi! Does the all in one snail repair cream have whitening effects? I don’t really want any products with whitening effects. It apparently does whiten, but I haven’t noticed any whitening affects on me. I actually like to maintain a darker complexion. I have the tendency to be very pale, but I try to limit that with tanning lightly (either through UV rays or fake tanning). The only way I can imagine it may “whiten” your skin is because snail mucin increases cell turnover, and thus new “white” skin comes to the surface more quickly.